Deanfield Guest Accommodation is situated perfectly in the heart of the Royal Forest of Dean. We have 2 Double en-suites, 1 Superking ensuite (can also be made into a twin) and 1 King en-suite. We offer an extensive breakfast menu, including vegetarian, and have won a Visit England Breakfast Award for the 3rd year running. Deanfield backs onto the RSPB's Nagshead Nature Reserve and cycle & walking trails surround the property and start from the gate. The famous Dean Forest Railway runs to this unspoilt village. Golf and fishing are nearby with Lydney, Coleford, Clearwell Caves and Puzzlewood being just 4 miles away. Parkend itself has a village shop, cycle hire, Post Office, cricket green, pubs with restaurants and cafes. Very pleasant stay and hopeful staff. I arrived late, just needed a bed for the night, as working locally. Lovely peaceful location. No phone signal but good Wi-fi, Found this b-n-b on hotels.com, Will stay again, hopefully to see more of the area. Would recommend to all. Lovely stay in this charming guest house. We were very well looked after and the room was well designed and clean. Woodman pub is 50m away, and provided an excellent dinner. Very busy, so advisable to pre-book a table. Quality B&B with very friendly host. Two pubs doing dinner withn easy walking distance. Super breakfast, nicely appointed room. Chris and Nigel are very hospitable and attentive hosts. They are local people with an extensive knowledge of the area which they are more than happy to share. Deanfield is very well placed for visiting the Forest of Dean. There are also two very nice pubs within easy walking distance: good beer, good food and reasonably priced. The location was ideal and the accommodation was perfect. Lovely hosts made us feel welcome and the breakfast was delicious. I would absolutely stay here again, 5 stars! You are one of my top 3 guest houses I had been and I had been in a lot in last 3 year's. Please keep the same quality of your service for your future guests. I will for sure come back again. Christine was very welcoming and helpful about local bird sightings. I am an avid birdwatcher and the location is ideal for those wanting to visit the rspb reserve. The room was a good size and there were plenty of items for the tea making facilities. Pub a few doors down made it easy to get a meal in the evening without getting into the car. I only stayed for one night but there is a great pub 2 doors down that did fantastic food. As soon as i walked through the door i felt welcomed and relaxed. Very pleasant stay and would highly recommend staying at Deanfield. The Woodman Inn is a great county pub 2 doors down from the Deanfield. Very friendly staff and relaxed atmosphere. Very friendly welcome and the accommodation is of a very high standard with delicious breakfast. We thoroughly enjoyed our stay and would definitely stay here again. Good pubs offering food in the village. Very comfortable room, excellent breakfast and most pleasant and helpful host. Walks in the forest are stunning. Many places of interest and plenty of information available. Innumerable pubs offering good food at any time of the day at a reasonable price. We particularly liked The MIners at Sling where the food was very good and the environment less hectic than some other pubs. Easy access to towns and cities in the area if you want to visit cathedrals or other ancient buildings. A wonderful part of the country to explore. Chris is a great host, with a beautifully presented guest house. Our bed and pillows were top quality giving 3 good nights sleep. The lounge was very comfy with lots of local info. Good choice of breakfast nicely presented. Chris and Nigel were very helpful with local advice. Thanks very much, we will be returning to this beautiful area asap. Well positioned within a short easy stroll to two good pubs. Very central for all the Forest has to offer. Everything was very good. A warm welcome and every care taken by Chris and her delightful family/team. Very comfortable room/bed. Wonderful shower. Attention to detail - super soaps etc; range of teas, coffees in the room; excellent hearty breakfast; real, friendly yet unobtrusive hospitality; helpful suggestions for meals out, visits etc. Highly recommended. Chris and Nigel are happy to tell you about where to eat, visit etc. There's a lovely woodland walk on the doorstep, it's a heart of the forest location, and a good food pub is very convenient - literally a minute's walk. There's another that's apparently as good another few minutes away, but we very happily went back to The Woodman. Most comfortable bed I've ever slept in and the staff were very nice. Book at the Inn a few doors up if you want to eat. It gets very busy. Really nice place, fabulous breakfast. Very welcoming and mindful of guests' needs. I have been visitng Deanfield since 2011 & it's one of the best B & B's I've ever stayed in. The Fountain Inn across the green at Parkend offers good meals at reasonable prices. Apart from that you should walk in the forest & see some boar! During this last stay we had four sightings of boar in different places in 24 hours, (one less than 100 yards from Deanfield) - 'though seeing this number is exceptional. Christine and Nigel made us very welcome from the start, everything about our stay was perfect, they couldnt do enough for us... Room & En suite were spotless, beautifully decorated and comfortable and Breakfast in the morning was stunning. Thankyou both again we will be returning. We dined at The Woodman Inn three doors down from the Deanfield ,we highly recommend it,we both had a lovely meal. During the day we visited the Nagshead Nature Reserve which was a beautiful walk. Thank you for this amazing review, we are so pleased you enjoyed your stay. We do feel so lucky to be where we are situated with excellent eating places in the village and walks surrounding the property - great you enjoyed them too. Hope to see you again soon if you are ever in the area, and hopefully you can stay for longer this time :) Thank you again, Chris & Nigel. A very pleasant stay. Food was excellent and a lovely friendly atmosphere. Only drawback was the main road but that is something I get a bee in my bonnet over whereas others may not mind. Pub two doors up from the b & b. No complaints about the food. It is as well to book a table as very popular. Christine and Nigel were great hosts. Bedroom lovely with a comfortable bed and a large bathroom with walk in shower. Ample Tea and coffee making facilities in room. Lovely, Breakfast cooked to order. Highly recommend Deanfield B&B. For dining out there are two very popular pubs/restaurants, within walking distance - it is advisable to book a table beforehand. Great area for walking / cycling and there is a rspb nature reserve behind b&b. Thank you for your kind review, we are so pleased you enjoyed your stay. We do feel so lucky to be where we are situated - with cycle & walking trails starting from the gate and leading to the beautiful nature reserve. We hope to see you again soon if you are ever in the area, you would be most welcome. Chris & Nigel. Very friendly proprietor. Spotlessly clean accommodation. Definitely recommend to friends and family and if in the area in the future will book again. Two restaurants within walking distance - out excellent food. 1. Really welcoming and friendly hosts, who were able to accommodate an early arrival. 2. On arrival we were welcomed with a cup of tea and a pre-wedding biscuit- a lovely touch. We were also able to wait for the taxi in the guest lounge. 3. The stay was very relaxed- we had a key to come and go as needed. 4. Finally breakfast was delicious! We recommend the English breakfast! N/A we were in the area to attend a wedding at Clearwell Castle. My wife and I very much enjoyed our visit to the Forest of Dean, the accommodation was clean and comfortable, thank you for the resteraunt tips prior to us arriving this was a nice touch. Excellent B&B. Super breakfast in the morning, centrally placed to visit the Dean Forest, very close to the cycling centre and other attractions of the area. Very pleasant stay in a lovely house. I was travelling late and was very kindly received by the hostess. My hostess took me to the nearby restaurant where the food was delicious. Thank you for your kind review, we are so pleased you enjoy your stay. Hope to see you again soon. Kind regards Chris & Nigel. Chris & Nigel made you feel very welcome as soon as they opened the door. Nothing was too much trouble. Everything was too a very high standard. Even went to the trouble of phoning to arrange a table for an evening meal at the local pub. Breakfasts were delicious and of a good selection of first class food. A lovely place to stay.Our room was beautiful. Very friendly, warm welcome and given refreshments on arrival. Good choice of breakfast and everything was done with a smile! Would certainly stay there again.All in all a great visit. The Fountain pub does a very good meal and there are lots of places to visit close by. A very comfortable place to stay with friendly, helpful hosts and a great breakfast. Great place to stay. Excellent breakfasts. Friendly and hospitable. Excellent porridge. Two pubs nearby for evening meals. Forest, steam railway, mine museums. The room was a pleasingly large size with a view of the village cricket field, enabling me to watch the progress of the match on Saturday teatime. The breakfast was particularly good - so many places these days don't include black pudding which is an essential part of a "full English breakfast". we were delighted with Deanfield. It was friendly, clean and comfortable and the location was ideal for touring. Don't miss Tintern Abbey! Both pubs in the village require booking. A warm welcome was received at this lovely guesthouse. The room was well equipped and very comfortable. The local restaurants area very busy so do book ahead to not e disappointed for an evening meal. The Fountain Inn has a good menu and is very obliging. The local bike shop has Marshfield ice cream !!! Very good b&b. Ideal for access to the forest. Average price, but true 4 star quality! Two good pub/restaurants in the village - one three doors away and one a five minute walk. Good village stores & post office, with attached café - the "Postage Stamp". Twenty minute walk to the Nagshead nature reserve (use cycle path to avoid main road). Lovely,friendly hosts. It would have been a nice extra touch if we had been offered a pot of tea/coffee on arrival,but that's understandable,given that we only got there at 7pm. It was kind of Chris to reserve my wife & i a table for dinner at a local pub. You have a beautiful B&B . Nice touch with the jar of sweets too. Nag's Head RSPB nature reserve a short distance away. Chris and Nigel are wonderful hosts; so friendly and kind. Chris makes the best breakfast!! Chris gave us such a warm welcome on arrival followed by a pot of tea and biscuits.Chris even took the time to book us a lovely evening meal at a local pub called The Dog and Muffler.The room was spotlessly clean, beautifully decorated with a very comfortable bed.The breakfast was great with a lot choice and relaxed atmosphere. We would highly recommend a stay here. Thank you for your wonderful review, we are so pleased you enjoyed your stay and would welcome you back to Deanfield at any time. Hope to see you again soon. Kindest regards Christine & Nigel. Great people and excellent accommodation. The home owner Chris was very warm and welcoming. The house was warm, cosy and had home comforts. The bed was comfy and the shower was hot. The breakfast was superb! Thank you for a lovely stay! After local walks through Puzzlewood and the Nagshead nature reserve, we received a warm welcome at Deanfield. We were shown our light, airy & (very welcome on a cold February day ) warm room. We were offered tea and cookies either in the room or in the lounge. Fresh milk was also available in the dining room to take back to our room, where there was also ample tea and coffee making facilities. Unfortunately, The Woodman Inn just a few doors away was closed for refurbishment so we walked 10 minutes to the Fountain Inn; we were very pleased to find that the route was all along lit pavement. The rump steak at the Fountain was perfect, although the décor in the back dining area was a little sterile compared to the bar area. Back at Deanfield, we slept well on a comfortable bed, and everything in both the room and en-suite was clean and tidy. Our detailed choice of cooked breakfast was ordered the night before, and I have to say was as tasty as I have ever enjoyed anywhere. Throughout the stay our hostess was attentive and charming. After leaving Deanfield, and exploring the arboretum and surrounding areas, we ventured back to Parkend and had a nice cup of tea and cake at the Postage Stamp café. We will return to Deanfield. Two dining pubs, shop, post office & café in short walking distance. Really lovely peaceful place to stay. Comfortable bed, warm and cosy, very clean and great wifi. Al's chip ship in nearby Coleford does Gluten Free fish and chips on Fridays and Saturdays. If you're interested in birdwatching, ask Chris about where to go - she gave us some brilliant tips, especially about the hawfinches! Thank you so much for your kind review, we are so pleased you enjoyed your second stay with us - we hope it is the second of many. Always book direct for best rates. Kindest regards as always, Christine & Nigel. Very friendly hosts. Great attention to detail made this a very comfortable stay in a very pleasant room. Wifi fine in room (2) although not stated in details. Great breakfast. 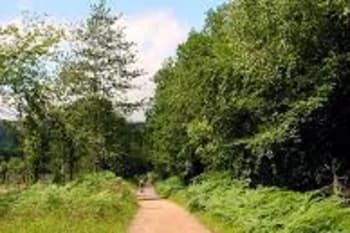 Well placed for access to Forest of Dean outdoor activities - walking, cycling (hire in village). Nothing negative. Lovely hosts, made us feel very welcome. Very helpful with suggestions of activities and places to go and eat. Breakfast was delicious, the bed was the comfiest I've ever slept on and I couldn't recommend this place enough. Symonds Yat is a nice walk. Miners Arms was very good for dinner and reasonably priced. And our main tip is try and stay at this Deanfield B&B!! Very easy to find and ideally situated, near,and for, many of the activities within the forest of Dean. We were very warmly welcomed by, Chris, the landlady and shown to an immaculate, very comfortable room. This, family run guest house is very easy to relax in, the breakfast is delicious. We would not hesitate to stay there again. The pubs in Parkend are very wrlcoming, traditional country establishments with friendly, helpful staff. We enjoyed the food at the Woodman. The fountain inn and the Miners were enjoyable for a few drinks also. The biking and hiking in the forest is excellent, with many amenities for the adventurous. 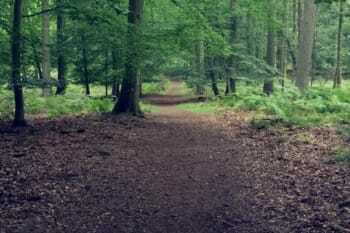 The forest of Dean is a must for anyone who enjoys the outdoors and all of its charms. 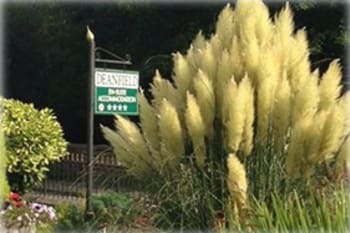 Deanfield offered us a lovely place to stay with well furnished rooms which were smart and very clean. A comfy high quality bed made our stay even better and the perfectly cooked and served breakfast made by Chris was the icing on the cake. Deanfield is a lovely B&B. Everything is immaculate, all toiletries were included, which was excellent as we were walking so didn't have to carry anything. Breakfast was cooked to perfection, local produce, nice selection of fruits, greek yogurt and granola. Room layout was perfect, with the hairdryer next to the mirror. Would highly recommend staying here. We ate at the Woodman Inn which is two doors down from the B&B, and the food was excellent, and the portion sizes were huge. If you are really hungry, go for the full rack of ribs!! it was beautiful everything. I reccomend everyone. Very helpful & frankly, it's impossible to find any fault whatsoever. This was my 4th visit & I have no hesitation to recommend Deanfield. Your right in the centre of a Royal forest full of industrial archaeology & wildlife. Very clean, great attention to detail in the rooms. Lovely people and yummy breakfast. Go ape up the road is a good day out as is the segway. 2 pubs in the village that serve food, nice place for walks. The only thing which really knocked the facilities score down was the shower. It looked ok, but the pressure was weak. Very friendly service, we felt very welcome and relaxed. Offered to book dinner upon arrival if needed and service for breakfast was very efficient (ordering night before and supplying a time). Breakfast was very tasty, Gluten Free option was fantastic (especially the sausages). Puzzlewood is very close and a magical visit. Visited The Miners Inn which was a 5min drive, very friendly staff and gorgeous food (offers gluten free also). Really enjoyed our stay. Chris was so nice and friendly and willing to help with any questions. Room lovely and clean. Lovely toiletries and my boyfriend especially liked the biscuits! Had everything we needed. Breakfast was really good too, although we were sorry we did not get up on time the second day! Would highly recommend! Wonderful bed and breakfast establishment. Stunning room - with friendly and helpful staff. Lovely garden and good secure parking. Excellent and very comfortable accommodation. Welcoming,friendly service and delicious and varied food. What more could you ask? Friendly and welcoming, very chatty and helpful. Good local knowledge. Would stay again and highly recommend. We really enjoyed our stay at Deansfield and would certainly recommend it to other guests. Friendly hosts, lovely spotlessly clean room, which was well stocked with drinks. Comfy bed - we slept very well indeed. Very nice little ensuite shower room. A very good breakfast in the morning. We thought it good value for money. Great area for walking - fabulous view of Tintern Abbey from Devil's Pulpit. We liked the Ostrich Inn at Newland and the pub at Brockweir for the beer and cider. Also visited Speech House where there is a big hotel which serves coffee, lunch, afternoon teas etc. Good walks here where you might come across a Wild Boar! Lovely stay, found there website very helpful for things to do locally. The cooked breakfast was lovely. We will be back if we stayed in the area again. Made very welcome by Christine and Nigel. I have stayed here before and was very impressed so I stayed for longer this time. Parkend itself is very sparse but is a good central location base to go touring. This was intended as a motoring holiday to enjoy the roads and scenery. Its amazing to think that Parkend can boast 2 brilliant pubs for food and beer ! The location is nice and central for all the local attractions. The owners, Chris and Nigel, were really friendly and helpful. Rooms are great. Breakfast is excellent. Very friendly owners and staff. Convenient location for the Forest Of Dean and all of its amenities. Two excellent Pubs/Restaurants very close by. A very comfortable bed, a thoughtfully decorated room with an ultra clean, modern bathroom and walk in shower. Breakfast is freshly prepared and also very well done with a selection of juice, fruit, cereals with everything else cooked to order. Thank you for your kind review, we do feel so lucky to be where we are with cycling and walking trails starting from the gate and surrounding the property - pleased you made use of them. Hope to see you again soon if you are ever in the area. Best regards Christine & Nigel. We booked a room for a weekend break. There was off-road parking, a comfortable spacious room and everything was spotlessly clean. Wifi worked well, this is important as mobile phone reception in the area is poor. We really enjoyed the breakfast, cooked to order. We appreciated the warm welcome from the owners and had a very pleasant stay. The room was lovely and very well presented. We loved the extra touches of tea,coffee and biscuits and the luxurious toiletries were great. Breakfast was excellent and we were made very welcome. The Woodman does great food, thanks for the recommendation from Christine! The Forest of Dean Rail service from Parkend to Lydney is well worth a trip especiallly when the steam train is running. Clearwell Caves and Puzzlewood are also great for exploring. 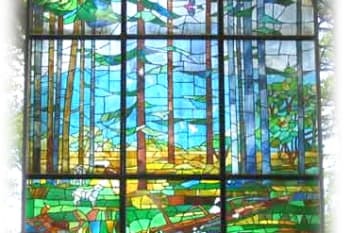 Excellent in every respect, we will definitely book with you when we next visit the beautiful Forest of Dean. Thank you for an estremely enjoyable and relaxing stay, we look forward to seeing you again either at the end of the year with several other friends or next year. Excellent food at The Fountain and Woodman in Parkend. There is so much to do in the Forest of Dean. We recommend Taurus Crafts, Dean Forest Railway, Clearwell Caves, Puzzle Wood, Dean Heritage Centre, Lydney Harbour, Lydney Gardens, Mallards Pike Lake and Soudley Ponds to name just a few. Dewstow Gardens near Chepstow is a magical place to visit. Parkend is an excellent location from which to explore the forest, we wouldn't stay anywhere else. The walks are plentiful in the most beautiful environment. Welcoming, Friendly, a very high standard in all aspects. Attention to detail was second to none. Such a comfy bed a very tranquil location and lovely garden to enjoy. Great parking and lock up bike storage. 100% reccomend Deanfield.. A real Gem. Fabulous cycling for the road cyclist if you like hills and amazing descent with stunning views. The MTB park was fantastic . The fountain pub and next door pub great food. A very pleasant evening with everything I needed - good wifi even if no mobile phone signal. Lovely accommodation, modern rooms in a traditional style house. Attention to detail was fantastic. Rooms cleaned daily even though we were only there for 2 nights. Tea/coffee/biscuits in room, no detail was missed. Breakfast was fantastic with a huge selection of cereals, fresh fruit, yoghurt, cooked breakfast items. Chris and her family were really friendly. Will definitely be back. The Fountain pub did fantastic meals, there is a pub next door (Woodmans) which is supposed to do nice food but we found the atmosphere a bit unwelcoming. Go to nearby Puzzlewood for a cheap trip out, it's amazing but wear good footwear as it's very slippery under foot! Informative and personal email sent soon after booking with recommendations of venues for evening meal. A very warm greeting on arrival by Chris. The rooms are very well equipped, there was even a hot water bottle. Nice toiletries in the fabulous bathrooms, a great selection of tea and coffee with biscuits and sweets too. Lovely character furniture in the rooms which were warm and comfortable. The breakfast was great -all locally sourced products - nothing looked like it had come out of a packet. Very comfortable guest lounge. Good parking and a fantastic pub - The Fountain Inn within walking distance. I would happily have paid more for my stay - exceptional value for money. A fantastic B&B that offered a warm welcome on arrival. Our room was of a very high standard with a beautiful en-suite. The breakfast used high quality ingredients. Nothing was too much trouble. We would definitely recommend. Fantastic little B&B, very helpfully located almost next door to the pub, and within walking distance of RSPB Nagshead. Beautiful room and great breakfasts. RSPB Nagshead and the Forest of Dean railway are two things that shouldn't be missed. We had a lovely stay. Beautiful, very well equipped room, delicious breakfast. Chis was so friendly and helpful and very kindly booked us a table for dinner at the local pub. We were made to feel very welcome and will definitely be returning. Thanks for a lovely relaxing stay. Very lucky to have found Deanfield with a lovely room in its Coach House on a popular weekend. Wonderful weather each day, so the Forest of Dean and countryside along the Wye was at Spring's finest. Lovely breakfast with home-made jams. Car-parking on the property. Footpaths straight into the Forest. Two good pub-restaurants within easy walking distance. Very friendly and helpfull. Very nice breakfast. They were happy to help when we had to check in early to go to a wedding. excellent B&B, lovely friendly service. fab room, tasty breakfast. Can't fault it. Lovely quiet location. great base to explore surrounding areas. very close to cycle hire centre. Clean,comfortable accommodation. Excellent breakfast and very friendly. A very friendly and helpful family run B & B. A very clean and well maintained property in a good location for accessing the local amenities and attractions. Excellent location to visit the forest, also both the Woodman and The Fountain provide excellent food. Chris and Nigel could not have been more welcoming. My sister and I came to the Forest of Dean to have a relaxing weekend and we found the B&B extremely comfortable, with fabulous breakfasts - it catered for our every need! A very comfortable and friendly guest house, the bed room was spotless, bath room excellent, breakfast excellent. I would and will be recommending the Deanfield to others. Location ideal for walks in the forest, visiting the local railway station in Parkend, run by local enthusiasts. We went to the Fountain Inn Pub, 10 mins walk and had an excellent meal with family. Very helpful ..... couldn't do enough for us. Lovely breakfast as well. One of the best b&b I have been in. Had a bit of trouble sleeping as there was a fan somewhere which stayed on all night ...... minor point and I do have trouble sleeping a lot! Found the pub next door quite rude ....... felt like they were doing us a favour by letting us book a table. Lovely friendly welcome and an exceptionally well appointed room in a delightful house. Good breakfast with plenty of choice. A very likeable host with a genial family who imparted lots of useful local information. Will definitely stay here again. The Woodman Pub just 50yds down the road has a good restaurant and is well worth a visit. Lovely place to stay. Christine and Nigel couldn't have been more helpful. The Woodman Inn is so close and we had excellent food and service. The two local pubs are both great and do very good food and have a lively atmosphere. The village is so welcoming, everyone is so kind and helpful - great place to explore! This beautiful period house is immaculate inside and out. Every facility is on hand and the cleanliness is second to none. A great night's sleep in a huge comfortable bed and a fabulous breakfast to set you up. I've stayed twice and it's now my regular port of call for long weekends in the Forest. Love it! Very welcoming owners made us feel very accommodated within this lovely b&b in the Forest of Dean. Very peaceful surroundings and the room was of very high quality with special little touches which make it clear that the owners very much care about the comfort of their guests. Fantastic bed and bathroom, we stayed in the superking room which was decorated beautifully. Breakfast was lovely and lots of choice. The mini fridge in the guest area was particaularly helpful for keeping our drinks cold. Would definitely come back to here when we next visit the Forest of Dean. nice clean bed and bathroom. Comfy guest lounge and nice lawn to lie out on. Good breakfasts. Very helpful host. Two good pub restaurants within easy walking distance. Cycle hire and off road routes through the forest on the doorstep. Steam trains just up the road...about 600m away. Wonderful place to stay-warm personal greeting on arrival from Christine and Nigel.smashing room with facilities after a long journey.restful atmosphere .great breakfast and quality ingredients.Looking forward to revisit again soon. Evening meals can be located very close by within walking distance. personally i visited The Fountain Inn twice- good menu, food and real ale. We had good evening meals in both pubs in village. A very pleasant B&B, Chris was very helpful and made us extremely welcome. We found all the facilities clean and of a high standard. Highly recommended. Great walks and cycleways nearby. Excellent pub close to the house. Excellent B&B in the heart of the Forest of Dean. Rooms were exceptional for a B&B with newly refurbished en-suite. Good hearty breakfast. Hosts were very helpful and couldn't have done more to make our stay enjoyable. Excellent location for wildlife - you can walk directly into the Nagshead reserve (pied flycatcher, redstart) from here and there was plenty to see in the village (siskins, hawfinch). We visited in mid April). Also boar and piglets just off the village green, they approached to within 10 yards. The two pubs in th village were good and both did excellent and substantial meals (booking advised at weekends), and there is another about a mile away which we did not try but has good reviews. Chris and Nigel were very welcoming, warm and friendly and made us feel at home in their lovely house. Chris kindly arranged dinner for us at a local pub and gave us information about the local area. We'd be happy to stay at Deanfield again and would certainly recommend their B&B to our friends. Thank you.....Matthew and Gayle Webster.